what is flip for function? We are a private occupational therapy program offering OT services as well as individualized recreational gymnastics classes. We use our expertise and advanced knowledge and training of movement and kinesiology to guide our therapy sessions and recreational classes. A typical session would include sensory input, motor planning, self regulation tools, social skill development, strength, coordination and balance challenges as well as helping with behaviors that may arise. Our staff is comprised of certified and licensed Occupational Therapists. All students in our therapy or recreational program begin in 1:1 individual lessons and may advance to group sessions. What is the difference between your OT sessions and Recreational sessions? Our Occupational Therapy sessions are always led by a registered and licensed Occupational Therapist. Initial OT evaluations are administered to determine functioning levels of gross and fine motor development, sensory processing, visual motor and perceptual skills, self care skills, cognitive function and social skills. Following the evaluation, goals are established in collaboration with the caregivers. Using this information, treatment sessions are developed with an individualized approach to attain these goals, using our knowledge of neuro-developmental skill progression. OT sessions may be reimbursable by insurance. Our recreational program may be led by OT’s or sports coaches who have been trained by the OT’s. 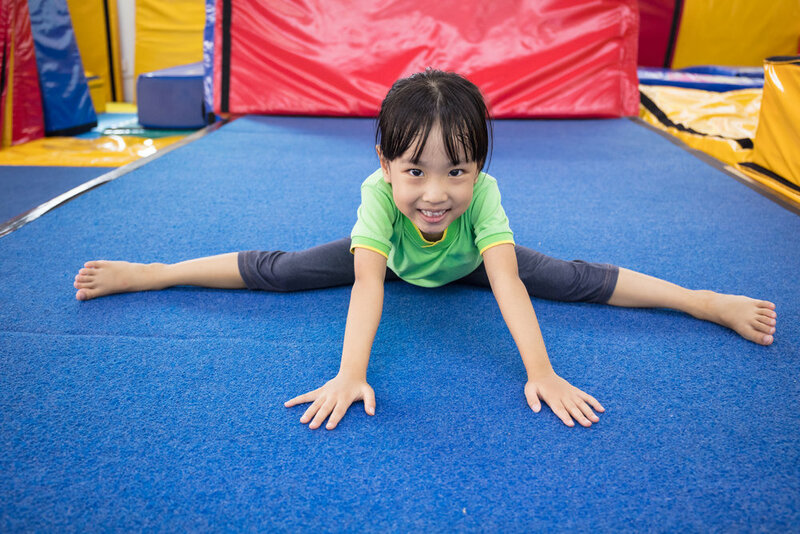 We will perform a recreational based assessment to determine the child’s strengths and challenges in various areas of motor skills and behaviors. These sessions are individualized as well, with less of a focus on treatment and more of a focus on fitness, skill development, and fun while innately including sensory input. We serve children who are walking up to 18 years old. We ask that the child be potty trained. If they are not, someone is required to stay at the facility in case of an accident. Anytime! We run sessions year round, so contact us today about setting up your evaluation!